There are many external parts to a car that are important to maintain, like the tires or the windshield wipers. Most car owners know to monitor these parts, and have no problem doing so because these car components are very simple and straightforward. But when it comes to the working parts under the hood, a lot of drivers are in the dark about what those parts are and what they do. Even though they may be more complex, the car parts under the hood are just as important – if not more – than the external parts. The team at CarRegistrationAdvisors.org prides itself on providing car education for the average driver. 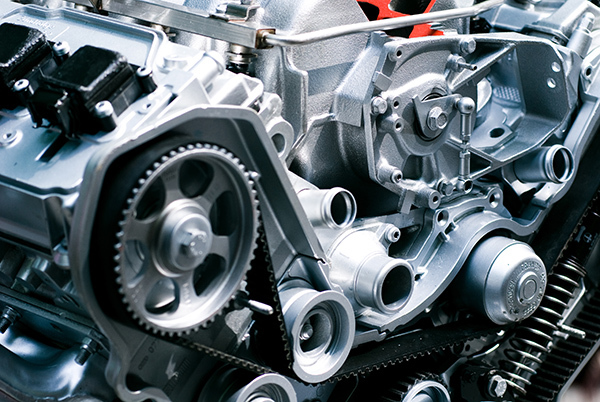 Here are a few important car components that can be found under the hood, and a little information about what they do. The car battery should sound familiar to most car owners, because it needs to be replaced every few years. The battery works by converting chemical reactions into the electrical energy or voltage that the starter needs to function. While the car is driving, it keeps the electrical current stable so that the engine doesn’t shut off. If a car battery does not have a sufficient amount of power, the car will not start. Our experts at CarRegistrationAdvisors.org agree that the battery has to be changed every three to five years, though a battery’s life can be shortened if a driver is hard on it. For a car’s engine to work properly, the alternator needs to be working, too. The alternator is responsible for channeling the energy the engine needs. If a car’s alternator is not working correctly, the engine may not turn on. A broken alternator may also cause issues with other car parts. The moving parts under a car’s hood produce mechanical energy. Mechanical energy cannot power the engine, so the alternator converts it into energy that the engine can use. The electricity the alternator creates is also used to charge the car’s battery. This is why dying car batteries can continue to run after a car has been jumpstarted by another battery. The team at CarRegistrationAdvisors.org suggests that drivers should monitor their alternators to preserve the overall health of the car, especially because alternator replacements can cost thousands of dollars. Like the car battery, many car owners may be familiar with the engine air filter, because it has to be changed periodically. But, that doesn’t mean that a lot of drivers change or even know to change their air filters. The engine air filter does exactly what it sounds like it does: filter the air that passes through the engine to catch any dirt or debris. When the filter becomes dirty, it can’t filter the air as well anymore. This means that the engine becomes susceptible to debris and will need to work harder to function correctly. When a car owner keeps a dirty engine filter in the vehicle, it impacts the car’s mileage. Engine air filters that are old and worn may even break down and get sucked into the car’s engine, damaging the engine significantly. CarRegistrationAdvisors.org strongly recommends all car owners to replace the engine air filter regularly to get optimal mileage and to improve the car’s longevity. Although its name may sound intimidating, a functioning radiator is essential to keeping a car running. Cars need heat to trigger chemical reactions that allow them to run. Engines tend to overheat quickly on their own, and radiators keep them from doing so. Radiators are the most important part of the cooling system that all cars have. The radiator is usually located near the engine, and has a thermostat that is used to make sure that the temperature under the hood is just right. Without the radiator, many of the metal parts under the hood would eventually melt.